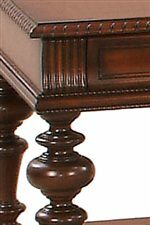 For a complete traditional seating area in your home, you simply must include this rectangular end table from the Mountain Manor collection. 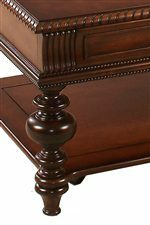 Finished in rich Heritage Cherry and delightfully detailed with moulding accents and classic turned legs, this end table will envelop your living room with sophisticated elegance. The one drawer on the end table is fantastic for keeping remote controls and other accompaniments tidily tucked away, and the base shelf on the end table is wonderful for displaying your favorite living room accessories. Match this end table with the other occasional pieces for the Mountain Manor collection for even more brilliant function and fashion. 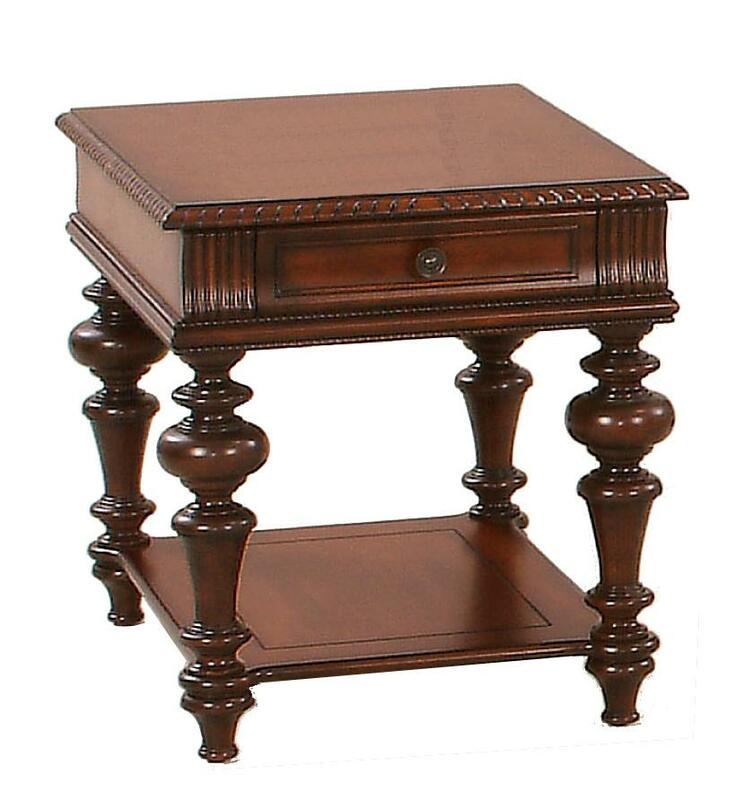 The Mountain Manor Rectangular End Table by Progressive Furniture at Lindy's Furniture Company in the Hickory, Connelly Springs, Morganton, Lenoir area. Product availability may vary. Contact us for the most current availability on this product.